In 2009, Ralph Pucci was the recipient of DDI’s Markopoulos Award, the highest distinction in the visual merchandising industry. In 2015, New York’s Museum of Art and Design presented an exhibition called “Ralph Pucci: The Art of the Mannequin” which is now at Northeastern University in Boston through October 2016. 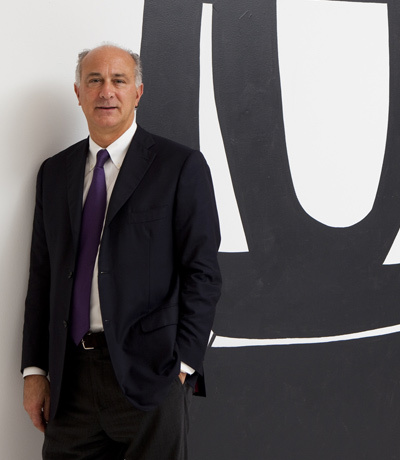 In 2016, the Museum of the City of New York presented Ralph Pucci with its City of Design Award which recognizes it says “those who have made New York the design capital of the world and inspire future generations of designers.” Pucci was the recipient of the Creative Innovation Award from Inner-City Arts in Los Angeles in 2013, and, in 2014, honored by the Kips Bay Boys & Girls Club. Other accolades include “The Best in Furniture and Furnishings,” by Robb Report, “The Best Showroom” by Wallpaper, and a “Best of the Year in Interiors, Architecture, Fashion and Design” according to Interior Design. There are two books about the history of Pucci and the variety of exhibitions staged over the years: Show and Wall. Interior Design recently caught up with Ralph Pucci at his New York City showroom where he was celebrating the launch of his new book “Wall'. The designer talked to us about what inspires him, who he admires and his career trajectory from mannequin manufacturer to modern art and design aficionado. ID: Is there one piece of furniture or art you’d like to have in your home but don’t? RP: I have a Herve Van Der Straten piece in the showroom that doesn’t fit [in my home]. For lack of a better word, it’s a console with mirrored sides and red lacquered feet. 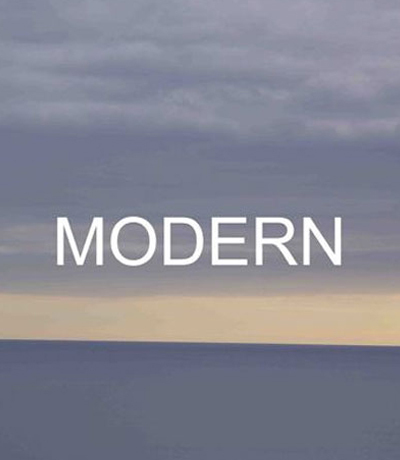 It’s so modern, so the future, but not tricky or trendy. It’s one of one, and it’s just too big. ID: Who are the people you admire the most or who have influenced your work? RP: I love Jim Zivic’s industrial chic spirit. He has lots of unique ideas, and he uses unexpected materials too complicated to copy. And I met Patrick Naggar through Andrée Putman. Each of Patrick’s collection is unique, quality furniture that’s under appreciated in the world. I’d put him up there with anyone on the top list of furniture designers. ID: Andrée Putman designed mannequins for you, then asked you to represent her furniture. How did that come about? RP: She loved the way we did presentations. I always saw mannequins and furniture as sculpture, which needs space, a room to look at. Other dealers put 100 pieces in a showroom I’d fill with 20. ID: Where do you draw your design inspiration from? RP: Listening to music is a big part of my creative process. I listen to jazz, R&B, rock, and see furniture and mannequins. ID: What projects are you working on? ID: With 20 years of options, how did you select the installations featured in “Wall'? RP: When you hit it, you really know it. These are the best. When you look back, a lot of things look dated. This book looks fresh because all the work in it is timeless. My portrait, with that Armani suit, is the only picture that does not hold up. ID: You’re known for your aesthetic sensibility, so how did you know the physical, manual part of design was not for you? RP: From when you’re a kid you know. I can’t even put a nail in the wall. I never casted or sprayed or even packed a mannequin, but I was in the factory a lot, looking at invoices and orders. I’m a promoter, an explorer. ID: What do you do to relax? RP: I sit by my pool, or the ocean. And I spend most of my time in museums and galleries. I love DIA- Beacon, and MASS MoCa, and Berlin has one gallery better than the next. ID: Is there one moment in your career that stands out as particularly rewarding? RP: There are many. Meeting and creating with Andrée Putman … Christy Turlington too. Maira Kalman revolutionizing the mannequin world. Working with Vlad Kagan. Seeing David Weeks go from a tiny booth at the furniture fair to a 30,000-square-foot space in stride with the greatest designers. And the Pratt paper project—two kids are in [my] new book. Imagine in 20 years when they look back and see themselves there. ID: What’s a mistake common to young designers, something they need to overcome to succeed? RP: Trying to do too much; trying to be Marcel Wanders or Philippe Starck. Be aware of what the great designers are doing but don’t copy. Find a unique voice. And don’t play too many notes. Less is more. His collections have run the gamut from realistic to idealistic - from fantasy to fun. What happens when you put fabulous architects, furniture designers, lighting designers, rug designers, artists, photographers and interior decorators under one roof? You get a stunning new hotel: Hotel Ralph Pucci. An LXR Hotel. LXR Luxury Resorts & Hotels has signed a potential concept deal with esteemed furniture design gallery owner Ralph Pucci to develop the first Hotel Ralph Pucci. The Georgetown Inn will undergo a transformation and debut as the new 96-room, and be the first of its kind in a unique collaboration between a design visionary of Ralph Pucci’s reputation and a stable of highly-respected designers of furniture, lighting and rugs, along with noted photographers. 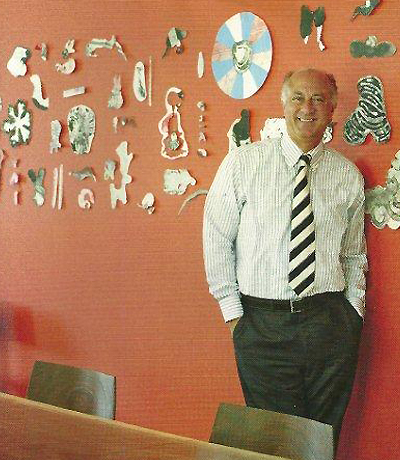 Ralph Pucci never set out to run the country's best modern furniture gallery,but a post-college foray into his parents' mannequin business led to a meeting with French design legend Andree Putman...and he was hooked. Every three months, Pucci fills his New York and L.A. showrooms with the work of international talent such as Putman, Patrick Naggar, Vladimir Kagan, Jens Risom and Paul Mathieu, among others. 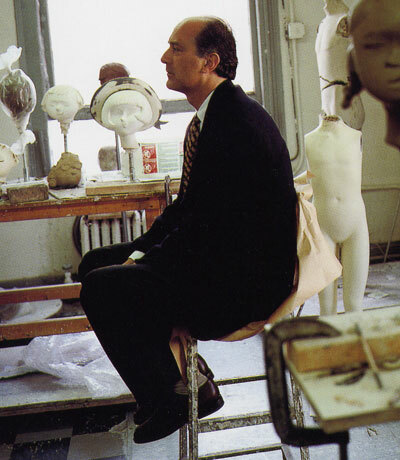 Originally known for his innovative and visionary mannequin collaborations with world famous illustrators, fashion designers, pop artists and super models, Ralph Pucci later added furniture and art to his repertoire, representing design legends Andree Putman, Vladimir Kagan and Chris Lehrecke, building his business into the country’s leading modern furniture gallery. With the potential launch of the hotel, Pucci will be introducing his modern design vision and philosophy of discovering “the new and the next' in the heart of Georgetown. “For the hotel design, every aspect of the hotel from the rooms to the public spaces will be custom-designed and reflect a new philosophy. The hotel will be elegant, modern and timeless,' said Ralph Pucci. For this exclusive LXR Luxury Resorts & Hotels Ralph Pucci property, Pucci has created the broad design concept and has selected architect/designers Pilar Proffitt and Robert Bristow to bring this vision to life. Proffitt and Bristow will design the facade, lobby, restaurant, guest rooms and baths, and will furnish these spaces and one floor of guest rooms. Pucci has selected five of his artists to provide the furniture for each of the guest room floors. These designers include Robert Bristow's 'warm minimalism', Jens Risom's 'mid-century modern,' Patrick Naggar's 'modern luxury,' Paul Mathieu’s 'sculptural elegance', and Christophe Delcourt's 'tomorrow’s classics'. We are aiming for a quiet architecture that reflects this spirit and provides a quiet backdrop for the furniture, photography and people that live in these spaces. Born and raised in Richmond, Virginia, Robert holds a Bachelor of Arts from the University of Virginia and Master of Architecture degree from Virginia Polytechnic. Upon receiving his Masters in Architecture, he landed a prized job as chief assistant in the office of the legendary Paul Rudolph, the father of Neo-Brutalism. Ironically, he moonlighted in another office, that of Aldo Rossi. Several years later, Robert moved to Boston to work in the architectural studio of Peter Forbes, one of the foremost practitioners of minimalist architecture. While working in these offices, Robert set up his workshop and began crafting his own furniture ideas. The furniture he made attracted attention and was purchased outright by several high-end design stores in New York. As a high-end retail network evolved in the US, Europe and Asia, the furniture found it's way into some of the finest collections in the United States. Robert joined Ralph Pucci May of 2004. Patrick Elie Naggar is a French artist, architect and designer who received his degree in Architecture (UPLCi) from the Ecole des Beaux Arts and a Masters degree in Urban Studies from the University of Paris. Naggar considers architecture as a central knowledge, encompassing interior design, furniture design a catalyst of the ideas, forms, plastic and artistic trends in order to create objects and spaces for our environment in the spirit of our times. Patrick joined Ralph Pucci in 1997. One of the first designers to bring the traditional Scandinavian values of function and craftsmanship to the United States, Risom was part of a new vanguard that helped establish post-war America's leadership role in the world of modern furniture design and manufacturing. Born in Copenhagen on May 8, 1916, Risom was highly influenced by his award-winning architect-father who encouraged Jens to pursue academic studies in business and contemporary design. After completing two years at the Business College of Niels Brock in Copenhagen, Risom worked briefly for Danish architect Ernst Kuhn and he created several furniture designs for Gustav Weinreich of A/S Normina in Copenhagen. Risom's early designs for Normina were shown at the Cabinetmakers Guild Exhibition in 1937. Jens Risom joined Ralph Pucci in 2005. French born, Christophe Delcourt graduated Cours Florent, Paris in 1988, and in 1989 studied at the Theatre Ecole du Passage. With a keen interest in designing furniture and objects, Delcourt opened his first studio in the Marals area of Paris in 1998. Since then, he has designed for restaurants, hotels and boutiques and has exhibited furniture and lamps at Joyce Gallery in Paris. In 2001, Ralph Pucci International became the exclusive representative of Christophe Delcourt Designs. French designer, Paul Mathieu, based both in New York and Aix-en-Provence, exhibits his signature style in his furniture collection for Ralph Pucci International. Mathieu is a progressive designer who gained his reputation through both his international interrior design projects, as well, as, his product designs for companies such as Ecart. An unmistakable benchmark is evident in the graceful and elegant modernism infused in Mathieu's work. His furniture combines the unassuming harmony of nature, blending sinuous curves with tailored geometry. Mathieu's designs combine richness and depth of woods with the comfort of upholstery and with detail. 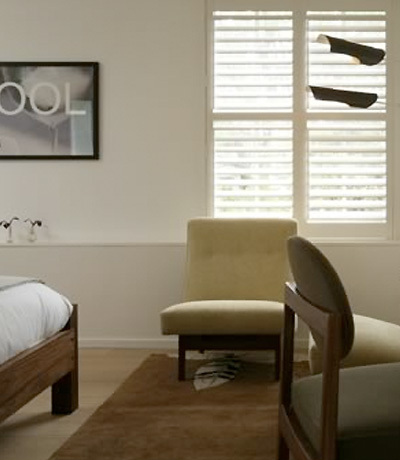 This results in a refined statement of clean, luxurious simplicity. 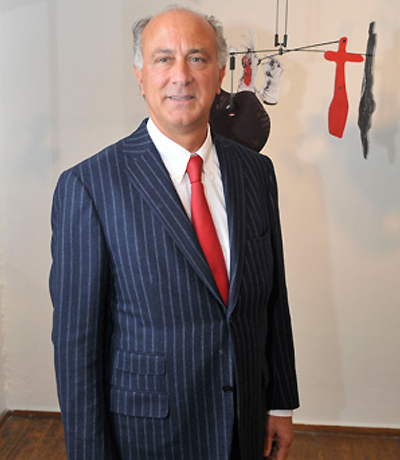 Paul joined Ralph Pucci in 1999. All of the photographers work will be displayed on different floors in a collaboration with each of the distinctive designers in pairs presenting Jens Risom with Christopher Makos, Christophe Delcourt with Antoine Bootz, Robert Bristow with Paul Solberg, Paul Mathieu with Gail Leboff and Patrick Naggar with Diego Uchitel. Christopher Makos studied architecture and worked as an apprentice with the artist, Man Ray, in Paris. Since the early 1970s, he has developed a unique style of boldly graphic photojournalism. He is the author of two books: White Trash (1977) and Warhol: A Personal Photographic Memoir (1988). His works have appeared in magazines such as Rolling Stone and Esquire. He served as a contributing photographer to Warholís Interview magazine and was a close friend to Andy Warhol. Presently, Makos maintains an active photography studio in Manhattan, hosts an interview show, Makostyle, for television in New York, and exhibits his photographs, prints, and paintings widely throughout the United States and Europe. Paul Solberg: Paul studied Anthropology in Cape Town, South Africa, and worked on a land conservation project in Bophuthatswana. Solberg’s photographs have been published in Publisher’s Weekly, Ocean Drive, Elle, Home Miami, Lucky, and European publications, View of The Times, Vanidad, Alter Ego, among others. Paul’s work has also been shown in New York and throughout Europe from: Ralph Pucci (New York), Young Gallery (Brussels), Flo Peter’s Gallery (Hamburg) and most recently at Paris Photo with Galerie Baudoin Lebon (Paris), and ARCO art fair in Madrid. Antoine Bootz' talents earned him simultaneous success in both the fine art and commercial photography worlds. He has enjoyed many solo and group shows of his photography in his native Paris, France and his adopted home, New York City. At the same time he has had the opportunity to work on advertising campaigns and editorial projects for Calvin Klein, House & garden, La Redoute, and many other prestigious clients. He is repped by Judy Casey. Argentinean born photographer Diego Uchitel moved from Buenos Aires to the United States after high school to attend film school and eventually found his true calling. He has been photographing the world's most beautiful subjects for twenty years. Uchitel is renowned for his elegantly arresting photographs. His work is often described as less photographic and more painterly. You can contact him via his rep, Jed Root. Madeline joined Ralph Pucci in 2006. David Weeks originally from Athens, Georgia, attended the Rhode Island School of Design to study painting and sculpture and where he earned and MFA in 1990. Weeks moved to New York City where he worked as an associate to jeweler Ted Muehling in his Soho store. In 1996 he founded the Brooklyn based David Weeks Lighting studio. Since the studios inception, his product line has grown from desk lamps, sconces and ceiling fixtures to include floor lamps, elaborate chandeliers and mobiles. Merging industrial materials and organic forms, David Weeks lighting draw influence from eclectic sources such as mid-century European modernism, machine age industrial design and kinetic sculpture. David Weeks designs are marked by an uncommon attention to detail and evocative materials: spun aluminium and steel, oxidized metals, porcelain shades and silk covered electrical cords. Especially notable are his large scale mobiles. To add to the distinctive design elements on property, Ralph Pucci will also collaborate with menswear designer, TOMER to design all hotel uniforms, inspired by the jazz greats of the 1950’s. Additionally, Hotel Ralph Pucci will display the works of a different artist, rotating every 4 months, in the lobby of the property. Scope: Provided Technical Services and Owner Representation for the organization & construction of 3 model guestrooms & corridor. Compete coordination of overall budget presentation which included OS&E, Uniforms and total hotel concept conversion from the Georgetown Inn to the Hotel Ralph Pucci. 'There is no formula,' remarks visionary entrepreneur Ralph Pucci about his design philosophy. The same could be said of the man's career, now the subject of show, a recently released book. Pucci-who conquered the furniture industry by unlikely way of his family's mannequin business-continues to surprise design fans with daring projects, including his latest: a chair by longtime collaborator Vladimir Kagan made of the same fiberglass as the firm's dynamic store dummies. 1. A 5:30 A.M. swim before work, the perfect way to start the day. When it gets cold, I switch to the treadmill. 2. A great NBA game. Any one featuring Kobe Bryant or LeBron James will do. 3. Family vacations: Christmas in Barbados, summers in Italy. 4. Visiting museums. Two favorites are the Dia in Beacon, New York, and the Noguchi Museum in Queens, both in amazing industrial spaces. 5. The music of Miles Davis, Muddy Waters, and Keith Richards - and the Village Vanguard, the best jazz club in the world. 6. A good biography. I just finished reading one of Francis Bacon. 7. Men's clothing by Gianluca Isaia - modern but not trendy. 9. The art galleries in Berlin. They prove you don't need money to create a unique scene. 10. Chateau Marmont in Los Angeles. The hotel has soul that cannot be duplicated. 11. The sculpture of Constantin Brancusi and Henry Moore. 12. A 1986 Cartier watch my wife gave me on our tenth anniversary. I wear it every day. Mannequins, Furniture, Art. At first thought most people do not see the correlation. My vision though is very clear. To let the creative mind speak and be heard. My role at Pucci is to put together a team of the most innovative designers, illustrators, artists and photographers. to exhibit and sell their work which has been designed exclusively for RALPH PUCCI in a pure, exciting, uncompromised, luxurious way. I am not interested in the mass produced product. I want the hand of the artist to be seen and experienced. Furniture should be simple, timeless and beautifully crafted. Mannequins should be elegant, modern, edgy and hip. Art should make you think. Through a consistent, clear and creative message: exhibitions, advertising, marketing and professional salesmanship this vision is slowly being understood. I believe there is an audience that is begging for something unique, fresh and original. something of exceptional quality, something that will grow in value over the years, something that will be cherished. Commercially speaking, the creative voice has been silenced by short term financial goals. At Pucci I am committed to giving the artist his true artistic stage. The team I have put together: Andree Putman, Ruben Toledo, Maira Kalman, Anna Sui, Stephen Sprouse, Chris Lehrecke, David Weeks, Josef Astor, Kenny Scharf, Christy Turlington to name just a few, are all visionaries. They are leaders not followers. I have been fortunate to appreciate and understand this unique talent and deliver their message to a broader audience.